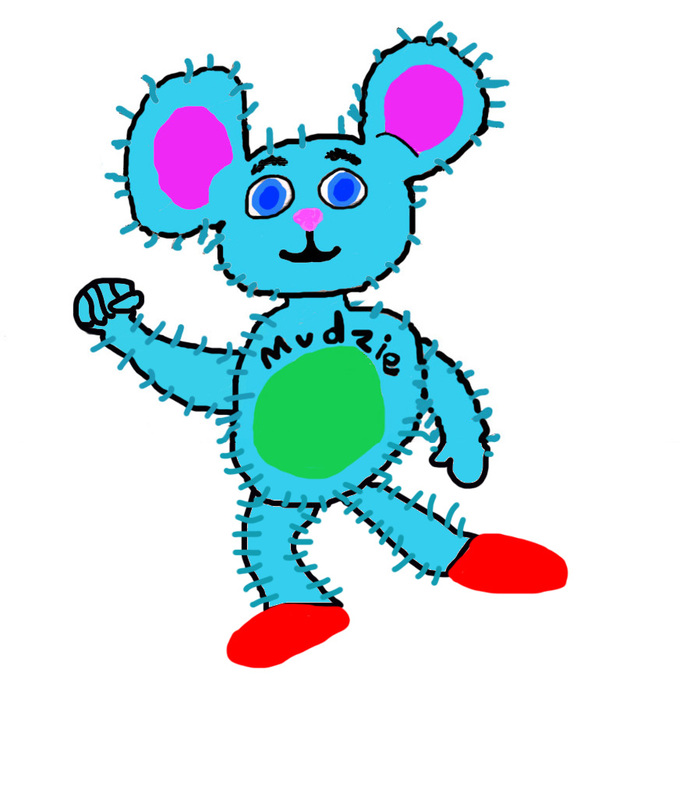 Mudzie TheBear is the very unknown brother of Muzzy (the bear that teaches you different languages) and was born on January 4, 1995. much of his life from 1995- 1999 is unknown, though I have been able to find out that he attended St.Peter's School for Fuzzy Blue Stuffed Animals. In June 2000 he met Eric Pezlo, who was then playing basketball for the University of Miami and his afro was only a buzzcut. They both loved acting and decided that if they could get people (or animals) to be in a show with them, they would make a news report. On May 12, 2001, Mudzie met MP3, a computer nerd that loves music, and invite him to take part in his show. He accepted. Soon after, the three soon-to-be movie stars found a hobo named DiStinko on th street outside an A Mart. Mudzie then recruited another person to be in his show. A year later, Mudzie TheBear moved to Ft.Lauderdale. While eating at a Chinese restaurant, he met someone else that joined his crew: Techno Geek. In April 2008 the Mudzie and Pezlo Report was made. To this day, three Mudzie and Pezlo movies have been made: the Mudzie and Pezlo Report, Mudzie and Pezlo ... and DiStinko, and James Blonde 007½ : The Rath of Horhey and Carmen. He still works for Mudzie and Pezlo inc. and is currently living in Hollywood, FL.